Going into the movie, I thought it was going to be a movie version of the Lewis Carroll classic, but it turns out that it is based on the characters with its own story. Alice did visit Underland when she was little. They make a joke that she called it Wonderland. She just thought it was a dream she had when she was younger, but when she is older and asked to marry a very scary guy in front of tons of people, she gets overwhelmed and runs away. She ends up falling into a rabbit hole and runs into familiar characters, but they aren’t completely familiar to her since she figures it is all a dream. 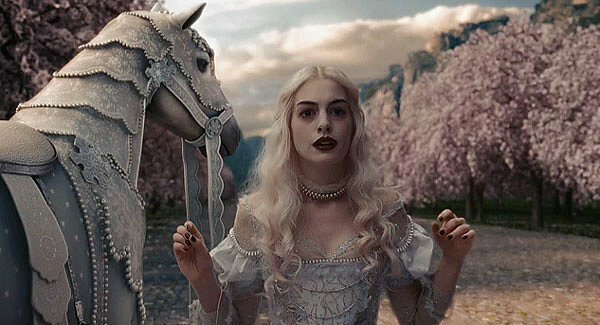 The characters don’t really believe she is the right Alice since she has lost some of her wonder as she has aged, but does get her mojo back as the movie goes along. Johnny Depp as the Mad Hatter was entertaining in the role in the beginning but became tiring at the end. I rolled my eyes at the cheesiness of the skipping and dancing that happened at the end. It was like he was suddenly Jar Jar Binks and only there to entertain idiot children. I did love that one pupil was bigger than the other one. I did feel that Mia Wasilkowska was wasted in her role. 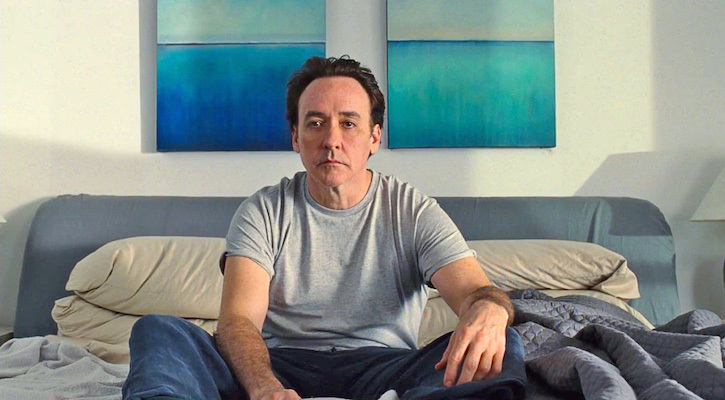 I thought she was fabulous in HBO’s In Treatment, but she didn’t have much of a personality in the movie. I loved the Cheshire Cat. I wish the Blue Caterpillar had been on the screen more. I cracked up at how the white queen would glide whenever she would walk anywhere. It was very cute. Some of the CGI mixed in with the live action was done well, like with the red queen’s little body and huge head. The Mad Hatter’s weird pupils seemed to be natural to the character. Other times, it did not work well. The Knave of Hearts looked fine when you could just see his head, but when his entire long body was shown, the movement was unnatural. Also, when he jumped on a horse and took off, it was also obviously computer generated instead of done live. I found that to be distracting. Beyond that, visually, it was very vivid and pretty. I did not watch it in 3-D since I had heard it didn’t really add anything to the movie, so I didn’t feel like I missed out there. Overall, I found it entertaining and light-hearted movie. 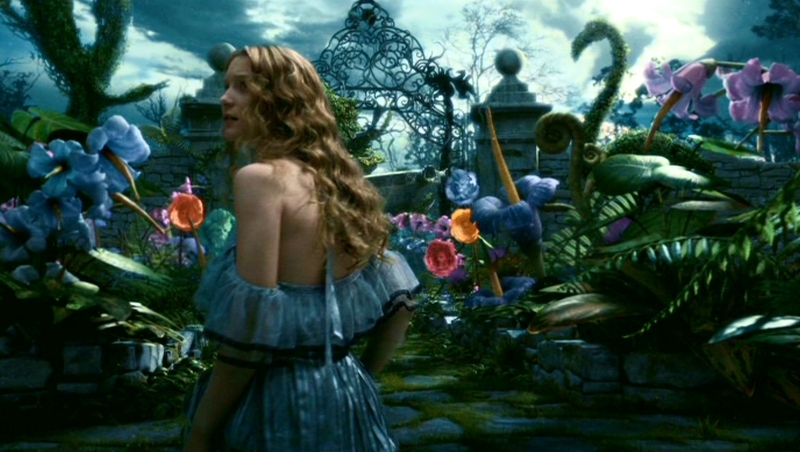 It was very much a Tim Burton film, but I wish it had some of the magic as his other movies. Too much CGI got in the way of the sweetness that was in Edward Scissorhands.